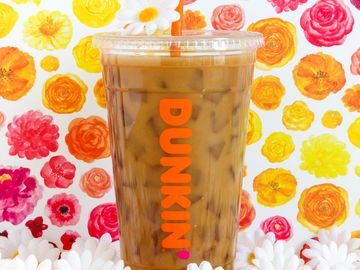 The world is counting down the hours until the royal couple say “I do.” Here at Dunkin’, we are giving our guests the chance to celebrate the royal wedding like a true prince or princess! 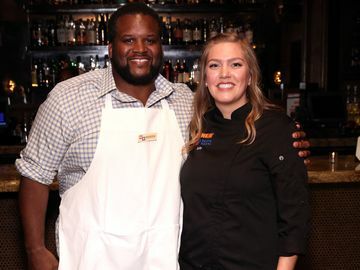 Earlier this week, we kicked off the royal festivities with a big surprise for guests at a NYC Dunkin’ Donuts restaurant. 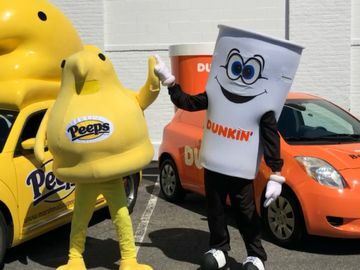 Carole Radziwill, real life princess and Housewife of New York, served guests from behind the counter and then took the first ride in a Dunkin’-inspired carriage fit for royalty. 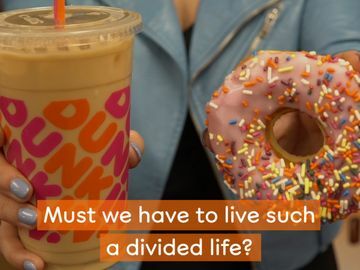 The horse-drawn carriage, inspired by the royal couple and branded in Dunkin’s iconic pink and orange colors, was created just for the occasion. Our guests were given the royal treatment as well. 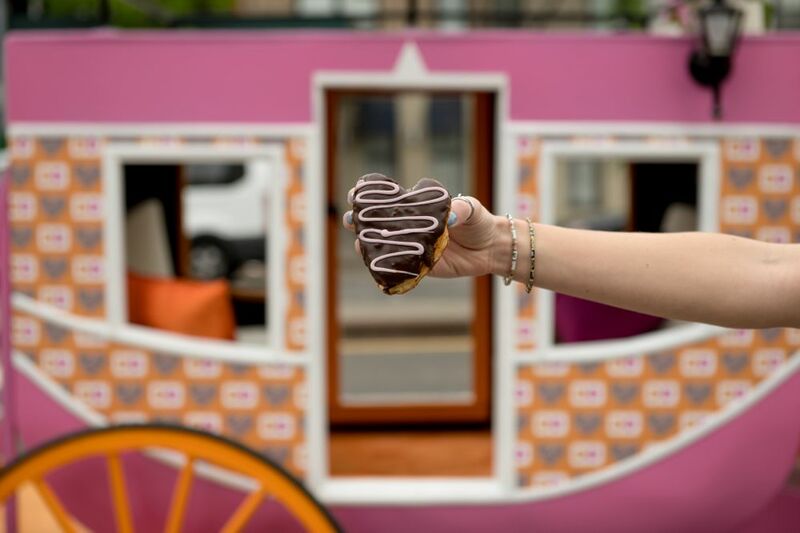 Several lucky fans had the chance to take a ride through Central Park in the Dunkin’ royal carriage, all while enjoying our Royal Love Donuts. Check it out below. And because no royal celebration is complete without decorative headwear, we worked with couture milliner Loreta Corsetti to create custom designed fascinators fit for a princess. With bursts of colorful sprinkles, a pair of Royal Love Donuts and faux MUNCHKINS® donut hole treats atop coronation lace, all three hand-crafted fascinators were created with the royal couple in mind. Guests across the country can join in on the royal celebration with our special Royal Love Donut. A heart-shaped donut filled with jelly and frosted with chocolate icing and a strawberry drizzle, the sweet treat is perfect for early morning viewing parties*. You can also share the royal love digitally with our adorable, royal wedding-inspired emojis. If you haven’t already, you can download the Dunkin’ Donuts Emoji Keyboard right on the Dunkin’ Mobile App. How are you celebrating the royal wedding? Let us know on Facebook, Twitter and Instagram! 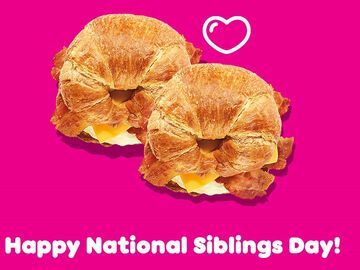 *The Royal Love Donut is available for a limited time May 14 through May 20 at participating Dunkin’ Donuts restaurants nationwide.